Don't Like How You Feel? Turn the Dial. Whatever negative emotions you may be experiencing right now are the result of your most dominant thoughts. Your thoughts (the images and inner-dialogue going on inside your head) determine your emotions and the way you feel. If you don't like the way you feel, then here's the antidote... start dwelling on something else! Your mind can only focus on one thing at a time. And you can only experience one emotion at a time. 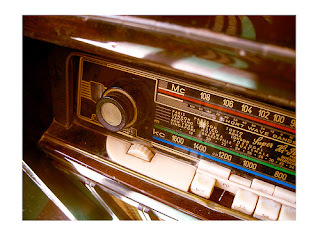 Think about this... a radio can only play one song at a time. Some songs make you feel happy, some songs make you feel sad. What happens when a song comes on that you don't like? You push a button and switch songs. And you keep pushing that button until you find a song that you like. One that makes you feel better. In the same way, when a thought or emotion pops in your head, and you don't like the way it makes you feel, then just "change the song". Switch channels. Of course you can't run from and ignore all negative thoughts. But here's the thing... most of the things you worry about are out of your control, so if it's out of your control then it does no good to worry about it. And 2, most of the things people worry about never come to pass.